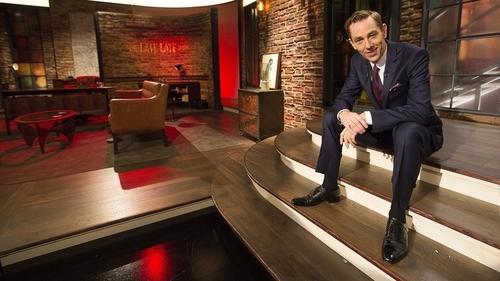 Alice joins host Ryan Tubridy to look back on a life's work with society's most disadvantaged people. Magician Keith Barry has will be in studio to give a glimpse of his latest show, which explores the blurred lines between reality and deception. Barry has said he will be making "a big announcement". Eight years on, Ryan catches up with Adam O’Sullivan on where his diagnosis is today, and what’s next for him. On the back of an emotional roller-coaster of a GAA season, Sportsfile photography publish their annual A Season of Sundays book. In a year that saw Limerick end a 45-year wait for the Liam MacCarthy Cup and Jim Gavin’s Dublin win their 4th All-Ireland in a row, we’ll take a look back at some of the highlights of this year’s hurling and football seasons through the camera lens. Ryan will also talk to people who have experience of adoption in Ireland from a variety of positions. Whether mother or child, biological or adoptive parent, the realities of life living with adoption will be explored with personal stories. He also speaks with three Irish women; Chanelle McCoy, Marissa Carter and Caroline Foran, about their lives, passions and what makes them fearless in their pursuits. Ryan will also be giving you the chance to boost your bank balance by a mighty €20,000.